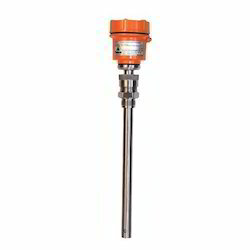 We are offering an excellent range of Level Transmitter to our customers. Process Pressure max. 200 mH2O. P(liq) - P(air) = K x h in short Pressure difference represents liquid level. 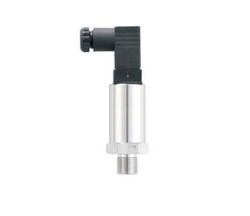 One convenient unit that clubs pressure with level is mHO (pressure felt at depth inmeters while being immersed in water) Trumen hydrostatic pressure transmitter utilizes pressure exerted by liquid P(liq) and substract it by air pressure P(air) using a single pressure sensitive diaphragm and air-vent in connection cable. As Trumen hydrostaticpressure transducer is immersed deeper in the liquid, the P(liq) becomes higher than P(air) and the diphragm minutely deforms. This diaphragm deformation can't be seen visibly, but it is caught by piezo-resistive sensors secured on the sensitive diaphragm. Thus pressure exerted by liquid is sensed by Trumen hydrostatic sensor which is directly denotes the depth from the surface of liquid. 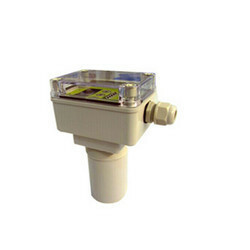 TLH is a pressure sensor for hydrostatic level measurement. Drinking water, dam water, bore well, well etc. 4-core, shielded cable with vent hose which is mechanically strong enough for deep submersible liquid level measurements. Customized process connections.like Threaded/Flanged/Hygienic etc. 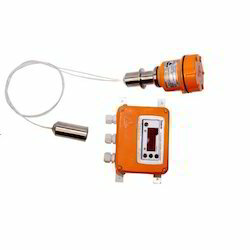 Being a prominent firm, we are affianced in providing our clients with a distinct assortment of Two Wire Capacitance Continuous Level Transmitter. The single sensor allows pump-control & multipoint switching. Easy calibration with or without material. Remote electronics with std 10 meters cable length. Electronic Inserts support all requirements. Ingress protection: IP 68/65 (as per IS-13947). 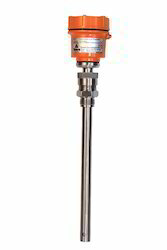 Hydrostatic Level Transmitter continuously measure the difference in process levels and deliver a signal in a multitude of industry standard outputs. The world class accuracy allows operators to tighten their process control to improve operational performance, work more efficiently, and lower maintenance costs. where (air) is the dielectric constant of air 1. (material) is a dielectric constant of the material. P is constant of probe and installation, H is the active length of the probe and L is the level of material. Capacitance to level translation is performed with the aid of on-site calibration also called "wet-calibration"
The device stores a low-level capacitance as the level for 4mA and high-level capacitance as the level for 20mA as defined by the user. Using these values and the following equation. C(residual) is due to the device itself. No potentiometers - hassle-free calibration. 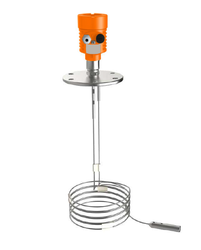 The magnetostrictive level transmitter is designed based on the principle of magnetostrictive effect, which sends out a signal to determine the exact level of medium. We are counted amongst the top companies involved in offering a wide range of Continuous Level Transmitters. Free flowing homogeneous liquids like oil, raw water WFI/DM Water etc.Suitable for top mounting. When level increases, Cliq increase, Cair falls while C stray stays constant as probe/device is held at a fixed location with respect to the tank. Being a prominent firm, we are affianced in providing our clients with a distinct assortment of Capacitance Level Transmitter. Minimum measuring distance (Xm) (also known as the "Dead Band") is a feature common to all ultrasonic level meters. This is a short range in front of the sensor within which the ultrasonic device cannot measure. Maximum measuring distance (XM) The longest range under ideal condition within which the device can measure. No measurement is possible beyond this distance. Simple configuration parameters, without waiting for emptying containers. 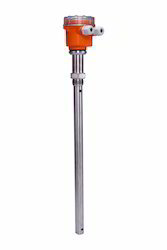 We are the leading organization in the industry to provide our clients the best quality range of Radar Level Transmitter. The propagation of microwaves is virtually unaffected by the ambient temperature and pressure. 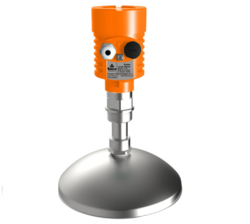 Hence these radar sensors are ideal for use under extremely difficult process conditions. Fluctuations in product composition or even complete product changes do not influence the measuring result. A fresh adjustment is not necessary. AMPLETECH radar sensors are available in two different frequency ranges and can thus be implemented in a wide variety of applications. K-band instruments work in a frequency range over 20 GHz. This enables the use of very small antennas and respectively compact process fittings. 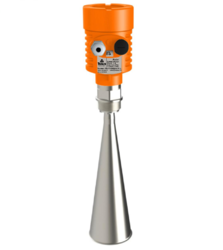 Due to strong signal focusing, the measuring system achieves high accuracy. C-band instruments are characterized by low frequencies around 6 GHz. Thus, in most cases, buildup and dirt on the antenna system or foam on the product surface do not affect the measurement. It's convenient for adjust and can reduce the instrument inspection risk and maintenance. With surge protector, suitable for outdoor application. 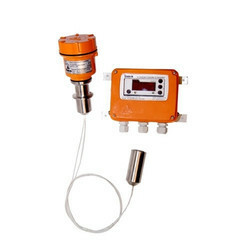 Guided Wave Radar Level Transmitter is based on the principle of measuring the time required for the electromagnetic wave and its reflected echo to make a complete return trip between the non-contacting transducer and the sensed material level. Then, the transceiver converts this signal electrically into distance/level and presents it as an analog and/or digital signal. The propagation of the guided wave is virtually unaffected by the ambient temperature and pressure. Hence these radar sensors are ideal for use under extremely difficult process conditions. Can be connected with HART field communicator and distance is up to 1000 m.
The LCD display can be installed remotely. Support GPRS wireless transmission and C Mesh self-organizing multi-hop wireless transmission. 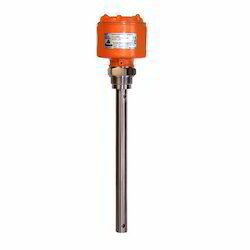 We are engaged in offering a large assortment of Capacitance Continuous Level Transmitter. We offer a product to our patrons after testing them to ensure their correctness. Compact size.Rigid rod /flexible rope versions. 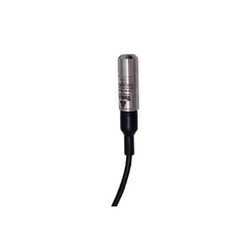 Submersible Level Transmitter generate high-frequency sound waves and evaluate the echo which is received back by the sensor, measuring the time interval between sending the signal and receiving the echo to determine the distance to an object. TFP-300 is made from high-quality silicon piezoresistive chip. 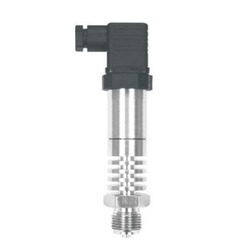 All process connections of the fush pressure transmitter are made of stainless steel, fully welded and isolate the process medium from the pressure measuring instrument via a positive seal. The TFP-300 is precision engineered to fit food,pharmaceutical and chemical liquid pressure measurement. 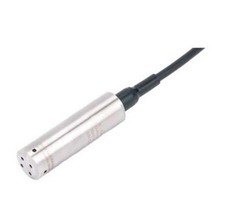 TLH is made from high-quality silicon piezoresistive sensor. The piezoresistive sensor is packaged in stainless steel housing. The TLH is precision engineered to fit most level measurement.The water-proof cable connects with housing sealed, with vented tube putting in, the transmitter could be used in the water or liquid in a long time. Integrated construction and standard output signal could provide easy operation and good automatic control. The TFP-40F metal foil strain gauge pressure transmitter is designed for superior high pressure applications up to 600bar. This model provides a very high long-term stability and a very good accuracy. 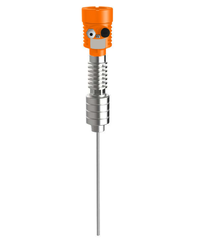 The transmitter is featured with no O-ring, free of leakage risks.The compact and rugged design makes these pressure transmitter suitable for applications including process control systems, hydraulic systems and valves, refrigeration and HVAC controls, level measurement and test equipment. A wide range of process connection and electrical connection options are available to meet almost requirement. TFP-40T is made from high temperature silicon piezoresistive sensor chip. The piezoresistive sensor chip is packaged in a fluid-filled cylindrical cavity and isolated from measured media by a stainless steel diaphragm and housing. The measured media is transferred onto sensor through heating cooling parts, and high accuracy amplified circuit board is in stainless steel housing, transmitting sensor signal into standard output signal. TFP-420 pressure transmitter has been designed for use in air compressors and compressed air stations. With measuring ranges from 0...1 to 0...400bar. 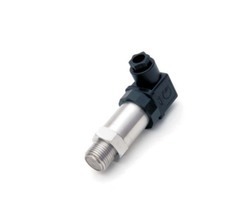 The TFP-420 is precision engineered to fit most industrial pressure measurement.The compact and rugged design makes these pressure transmitter suitable for applications including process control systems, hydraulic systems and valves,refrigeration and HVAC controls, air compressors. TFP-40S is made from high-quality silicon piezoresistive sensor. The piezoresistive sensor is packaged in stainless steel housing. 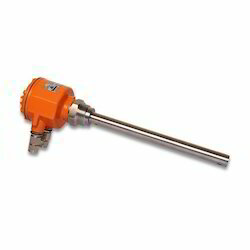 The TFP-40S is precision engineered to fit most industrial pressure measurement.The compact and rugged design makes these pressure transmitter suitable for applications including process control systems, hydraulic systems and valves, refrigeration and HVAC controls, level measurement and test equipment . A wide range of process connection and electrical connection options are available to meet almost requirement. The TFP-450 is based on MEMS technology (micro- electromechanical system). Through high temperature, silicon strain gauge is sintered on 17-4PH stainless steel sensor elastomer, which is integrated with the pressure connector. This model provides a very high long-term stability. 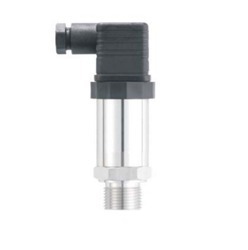 The transmitter is featured with no O-ring, free of leakage risks.The compact and rugged design makes these pressure transmitter suitable for applications including process control systems, hydraulic systems and valves, refrigeration HVAC controls and air compressors. The TFP-40G is based on MEMS technology (micro electromechanical system). Through high temperature, silicon strain gauge is sintered on 17-4PH stainless steel sensor elastomer, which is integrated with the pressure connector. This model provides a very high long-term stability. 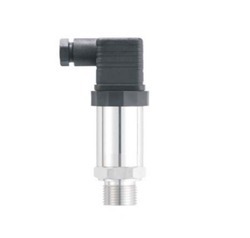 The transmitter is featured with no O-ring, free of leakage risks.The compact and rugged design makes these pressure transmitter suitable for applications including process control systems, hydraulic systems and valves, refrigeration and HVAC controls, level measurement and test equipment. A wide range of process connection and electrical connection options are available to meet almost requirement.